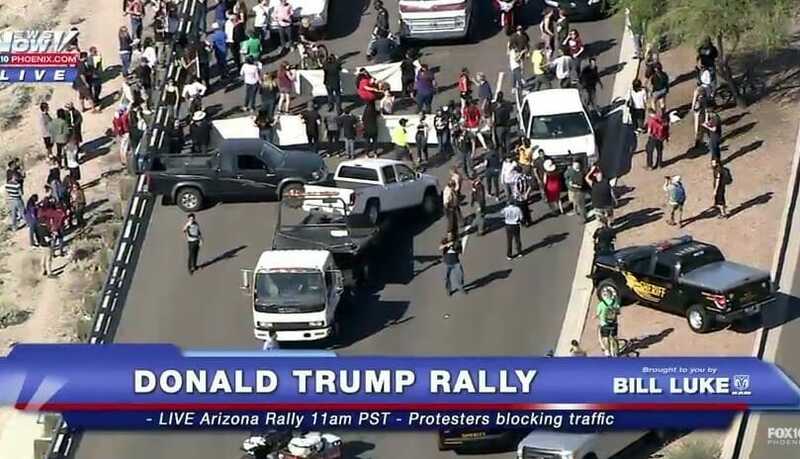 The protesters parked their trucks across the highway to block traffic. Police are towing the trucks now. 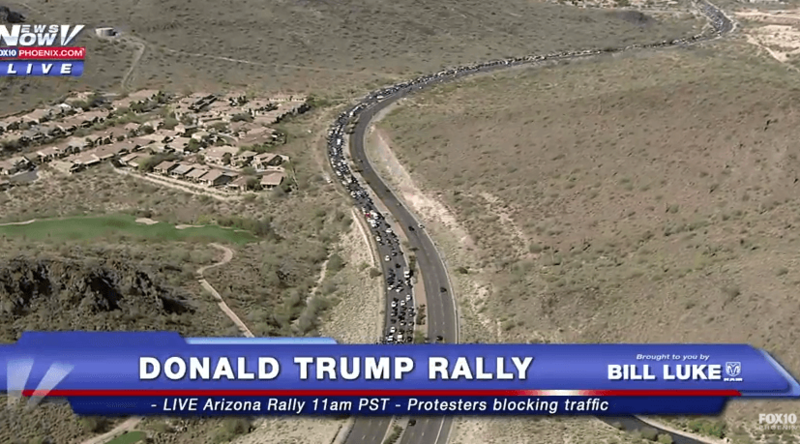 The Trump rally in Fountain Hills is scheduled in about an hour. 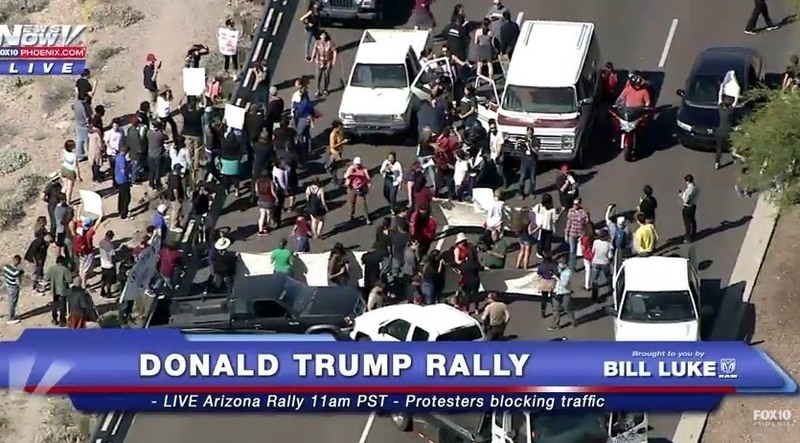 THE HIGHWAY IS SHUTDOWN FOR MILES FOR THE TRUMP SUPPORTERS WANTING TO ATTEND THE RALLY! UPDATE– 20 minutes later the highway is still shut down. 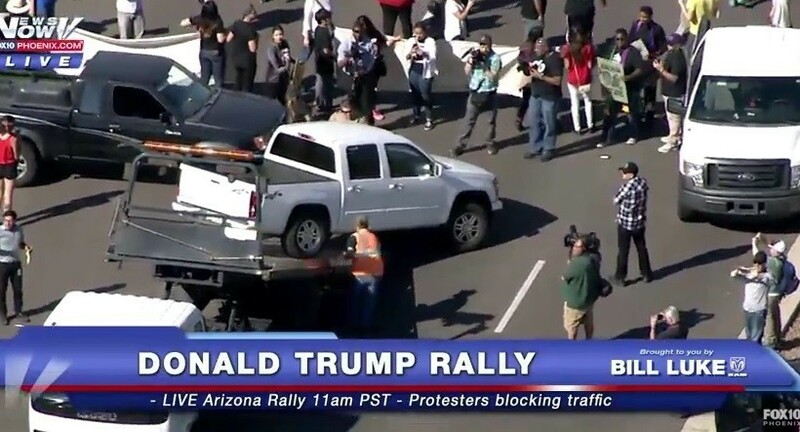 UPDATE: Thirty minutes later and the leftist fascists are still blocking the road?